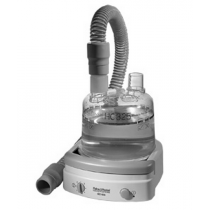 CPAP Humidifiers provide CPAP patients with comfortable sleep apnea treatments. Many CPAP patients experience "dry mouth" or dry airway passages when they wake up after a night of CPAP therapy. This happens often for patients that live in dry climates. CPAP humidifiers deliver moisture to the patient's airway, significantly reducing the chance of dry mouth. 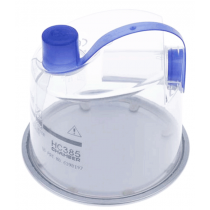 How To Use CPAP Humidification? There are two types of humidifiers--cold humidifiers and heated humidifiers. Cold humidifiers add moisture to CPAP generated air. This mositure is at room temperature. This mix of air and moisture helps to prevent dry mouth symptoms. Heated humidifers raise the tempertaure of the moisture before it is mixed with the CPAP generated air. This warm moisture combined with concentrated air provides a more comfortable therapy for many patients who are sensitive to dry, cold air. A heated humidifier warms the mositure so that when the air mixture is delivered to the patient is is close to body temperature, resulting in a more pleasant experience. Heated humidifiers can often achieve better patient compliance and better outcomes. A CPAP device with a humidifier essentially provides a combination of therapies--CPAP therapy and humidification therapy. This combination of therapies is very helpful for sensitive patients who require CPAP, but are subject to dry airway passages. This therapy is also very useful for patients who are mouth breathers during the night. Mouth breathing does not provide the moisture that the nasal cavity adds during normal breathing. CPAP humidification can add this needed moisture that mouth breathing prevents. Since so many CPAP patients develop dry mouth symptoms while using CPAP, most modern CPAP machines come with a built-in humidifier. 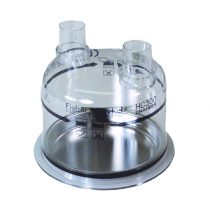 Some CPAP devices that are sold without humidification have the capability to add humidification through the addition of a humification chamber. 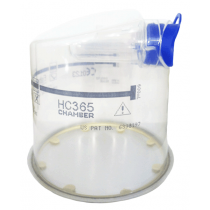 Some manufactures offer compatible humidification chambers for their CPAP devices and some third-party companies make chambers that are compatible. 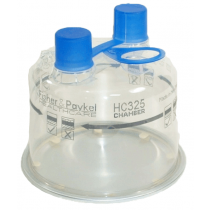 Nearly all CPAP companies offer replacement humidification chambers. 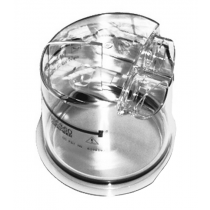 Using a CPAP Humidification device is incredibly easy. Simply detach the humidifier from your machine, fill the chamber with distilled water, and reattach the humidifier to your machine. Then, whenever you go to sleep and start to use your machine, you will experience refreshing sleep. Take control of your sleep therapy today and order your humidifier to greatly enhance your sleep apnea treatment. Can you use tap water with a CPAP humidifier? 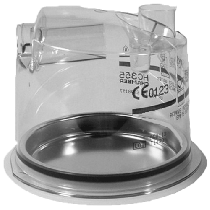 Manufacturers recommend distilled water for CPAP humidifiers. Tap water often has minerals that can damage your CPAP device. 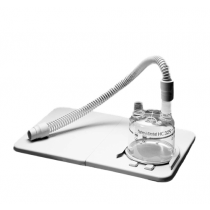 Is a humidifier required for CPAP? No, humidification is not required, but most patients benefit from its use. Does a CPAP humidifier help with congestion? Yes, the right amount of humidification is very beneficial. Patients should experiment with humidification levels to find the optimal amount of humidification for their needs. Not enough humidification may lead to dry mouth, while too much humidification may lead to congestion. How often should my CPAP system be cleaned? Nilius, Georg, et al. "Impact of a controlled heated breathing tube humidifier on sleep quality during CPAP therapy in a cool sleeping environment." European Respiratory Journal 31.4 (2008): 830-836. Wiest, Gunther H., et al. "In vivo efficacy of two heated humidifiers used during CPAP-therapy for obstructive sleep apnea under various environmental conditions." Sleep 24.4 (2001): 435-440. Wiest, G. H., et al. "Initiation of CPAP therapy for OSA: does prophylactic humidification during CPAP pressure titration improve initial patient acceptance and comfort?." Respiration 69.5 (2002): 406-412. Engleman, Heather M., and Matt R. Wild. "Improving CPAP use by patients with the sleep apnoea/hypopnoea syndrome (SAHS)." Sleep medicine reviews 7.1 (2003): 81-99. Janson, C., et al. "What characterizes patients who are unable to tolerate continuous positive airway pressure (CPAP) treatment?." Respiratory medicine 94.2 (2000): 145-149.